Man of Two Worlds, LLC was founded in 2001 as an Arts and Entertainment Development Company. Over the years the company has produced plays, developed and produced screenplays, written, arranged and produced music for television and served as an agent representative to a variety of artists. Garry Morris has been involved in the entertainment industry for over 30 years. He started his career as Public Relations Coordinator for the daytime talk show Hour Magazine, hosted by Gary Collins. Then, as Vice-President of Intersound Inc., a Los Angeles-based Post Production facility, Garry helped grow a small, specialized sound facility with a 15 employee staff to a full-service audio and video post-production facility of 400+ employees. In 1993, Intersound S.A de C.V. was incorporated, a Spanish-language dubbing studio in Mexico City. Garry, as President of the Mexico facility, helped establish ISSA as one of the most respected Spanish-language dubbing facilities in the industry. Both the U.S. and the Mexico facilities’ clientele included all the major motion picture studios, ABC, NBC, CBS and FOX TV networks, as well as numerous independent film and commercial production companies. Over the years, Garry has been a huge supporter of the arts, as a major donor to both the Center Theatre Group and The Geffen Playhouse, both in Los Angeles. He also is a supporter of The Midnight Mission, a Los Angeles non-profit that offers a bridge to self-sufficiency for homeless people through counseling, education, training and job placement. In addition, Garry has served on many fundraising committees over the years. In 2001, Garry, along with his partner Kent Harrison Hayes, founded Man of Two Worlds, LLC, an arts and entertainment development company. Since 2008, MOTW has produced a number of theatrical productions in Southern Utah. 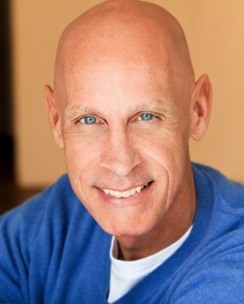 Garry is also a professional actor and a member of the Actors Equity and SAG/AFTRA unions. He holds a Bachelor of Arts in Theatre from Antioch University in Ohio, and a Graduate in Acting from The London Drama Studio in London, England. Kent Harrison Hayes has over 30 years of administration, management, marketing and public relations experience in the entertainment industry. For 25 years Kent served as President of Intersound Inc., a Los Angeles-based Audio / Video Post-Production facility, specializing in language dubbing and subtitling, video editing and duplication, DVD replication and digital video streaming, as well as DVD commentary for home video distribution. During his 25-year history with Intersound, Kent oversaw the expansion from 15 full-time employees to over 400 full and part-time employees at the Los Angeles facility. In 1993 the decision was made to expand the business to Mexico City, where Kent served as Vice President. The newly formed company, Intersound S.A. de C.V. (ISSA), quickly became one of the most respected Spanish language dubbing facilities in the business. Kent’s additional background in construction allowed him to help design and oversee the construction of both the ISSA facility as well as the new 25,000+ square foot Los Angeles facility in 1998. Clientele for both the U.S. and Mexico City facilities included all the major motion picture studios, ABC, NBC, CBS and FOX TV networks, as well as numerous independent film and commercial production companies worldwide. Kent has served on various Boards, including the World Airline Entertainment Association (WAEA), from whom he received its Lifetime Achievement Award in 2006. Over the years Kent has been an unwavering supporter of the arts, as a major donor to both the Center Theatre Group and The Geffen Playhouse, both of which are in Los Angeles. In 2001, Kent, along with his partner, Garry Morris, founded Man of Two Worlds, LLC, an arts and entertainment development company. Since 2008, MOTW has produced a number of theatrical productions in Southern Utah. 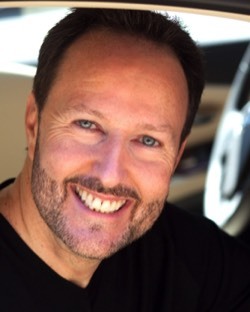 Kent is also a professional actor and musician and a proud member of Actors Equity Association, SAG-AFTRA and the Songwriters Guild of America. Kent attended Weber State University and the University of Utah, majoring in Liberal Arts.